How far can athletic performance go? 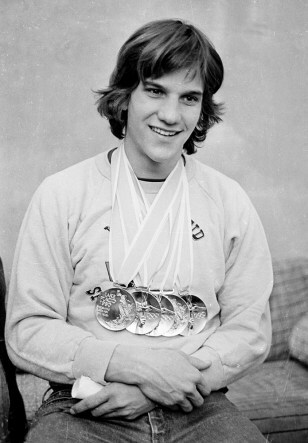 Eric Heiden displays the five individual gold medals he won in speed skating events at the XIII Winter Olympic Games in Lake Placid, N.Y. in 1980. Today, Heiden’s winning times wouldn’t elicit anything more than a yawn.